25 Mar How does Amazon Echo work? Alexa is a digital assistant that you can command to control the gadgets in your home or answer your questions. It will talk to the gadgets in your home to do what you want or gather the data you need. The smart devices in your home should be Alexa compatible. Look for a “Works with Amazon Alexa” sticker on the boxes of your smart devices. Amazon Echo’s popularity has attracted many people to try what Alexa can do. Your Alexa speaker allows you to set alarms and timers, play radio stations, get customized news reports, stream music from music services like Spotify and Amazon Music, control smart devices with your voice, ask web-based questions, make calls to your contacts, group together smart devices to work together using one command and play games or music. You can also use Amazon Echo to listen to control smart devices including connected thermostats, appliances, and smart lights. Alexa can provide sports scores, flash news briefings and weather reports. New features are being added to provide better services to customers. You can stay in touch with your family at home using Alexa Calling and Drop-In. Alexa can be used as an intercom from house to house or from room to room. The Amazon Echo contains a microphone, speakers and a mini computer that is capable of waking the system and blinking its lights to notify you that it is activated. However, the real capabilities of the speaker are seen once what you’ve told Alexa is sent to the cloud and interpreted by AVS. For instance, the Amazon Echo records your voice when you ask a question such as what the weather conditions is going to be like today. The recording is directed to Amazon’s AVS that decodes the file into a command it understands. The system delivers the appropriate output to the device. Since you asked about the climate, the system sends an audio recording back. Alexa then says the latest weather forecast. This also means that if there is no internet connection, you won’t be able to use Alexa. If you are looking for a certain artist or song, Alexa will search through the Amazon Prime Music or Amazon Music catalog for it. Alexa can also adjust your thermostat or turn off a light. Just make sure that this ability has been integrated into the system. The simplest integrations are with the gadgets that can be found in the app’s menu and those that Alexa can work with directly including Philips Hue lights, Belkin Wemo switches, Lutron Caséta lighting system, Sensi thermostat, TP-Link Kasa outlet switch, SmartThings hubs, Nest thermostats, LIFX smart bulbs, and Ecobee thermostats. Integrating one of the hubs allows Echo to control most devices connected to those hubs. You can also set activities to be activated by one command using either routines or grouping. For instance, smart lights can be grouped by area or room and turn off that space with one command. You can program custom-named activities or routines that can integrate smart devices with other tasks. For instance, you can make a routine called good morning that would turn on the kitchen and bedroom lights and play flash news briefing in the bathroom. You can schedule routines to activate automatically at a specific time. For example, the good morning routine could turn on the lights daily at 6 am. If you own an Android device, you can use Alexa to send text messages. Only Prime members, however, can access voice shopping. They can buy Prime-eligible products through Alexa, but there are some restrictions as well. You can’t buy jewelry, clothes, watches or shoes by voice. If you want to buy a certain product, you can ask Alexa to order it. Alexa will look for the product and say the price. It will ask you to confirm your purchase with a 4-digit security code. This prevents strangers and children from making unauthorized purchases. Your purchase is charged to your default payment mode. 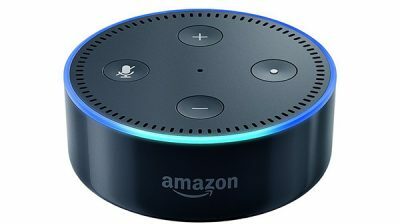 Amazon also provides special deals exclusive to customers who are purchasing by voice. You only need to ask Alexa about the deals for the day. Approved developers can access AVS for free, so they can develop new Alexa skills to improve the digital assistant’s skills set. Due to this freedom, Alexa currently has over 30,000 skills, and this number continues to grow. Customers can also use Alexa to get the perfect wine for dinner, order pizza or buy products from Amazon. You can find skills for various interests and hobbies. There are traffic report skills, traffic report skills, recipe skills, and homework helper skills. You can also find skills for smart devices like the Scout smart home security system. There are Cricket Facts that provide facts about crickets, DrinkBoy that you can use to find drink recipes and Daily Affirmation that makes you feel great about the struggles in life. You can add as many skills to your account as you want. However, remembering the voice command to make them work and sorting through them can be difficult if you’ve added several skills. Alexa has some limits as well. For instance, you can make a shopping list by telling Alexa to add beer and crackers to your list, but you have to add every item separately. The process can get frustrating if you are making an extensive shopping list. Sometimes, Alexa can’t hear the request because it is playing music at a high volume or due to background noise. However, the new Echo can hear and understand commands even with the music playing loudly. Alexa continuously learns from human data. Its capability is expected to grow as it continues to gather data and become more popular. When Alexa makes an error in interpreting requests, that piece of information is used to make it more intelligent the next time around. One of the reasons for the quick improvement of Alexa’s voice-activated user interface is machine learning. Amazon continues to have sophisticated machines and a group of specialists who are always searching for new ways to make Alexa and AVS even better.